Abishek Surendran is a first generation entrepreneur who was born in Chennai and had a typical middle-class Tamil upbringing. His father worked with State Bank of India and mother is a homemaker. As his father was working with SBI, they were frequently shifting places. He studied in seven different state boards around the country in his 12 years of schooling. He feels lucky to get exposed to different cultures and friends during his formative years. With a degree in Electronics Engineering, Abishek also did MBA from IIM Bangalore which he feels was a major turning point in his career. 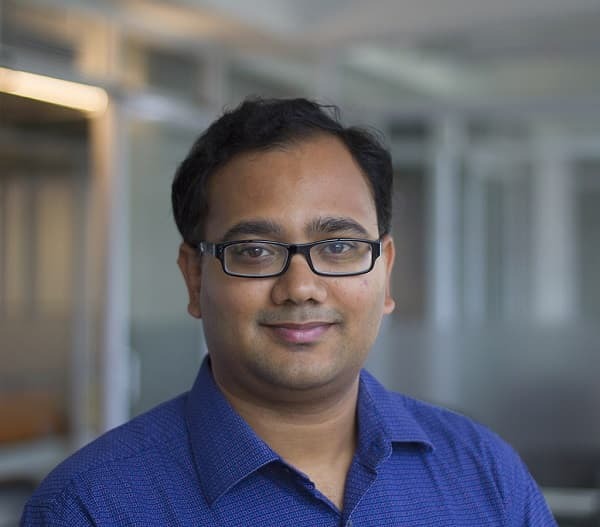 From Patni, TCS to MarianalQ, Abhishek has been into multiple roles before becoming Partner & Member of Investment Committee in pi Ventures, Bangalore based, applied artificial intelligence, machine learning, and IoT-focused early-stage venture fund company. Read on following an in-depth interview with Mr. Abishek Surendran to know more about VC business and his professional journey towards pi Venture. CE: Share your best memories at IIM Bangalore. Abishek Surendran: IIM Bangalore was a major turning point in my career. I joined the full time 1 yr program at IIM B - EPGP. I was part of the initial batches of the program and had a few offers from other schools in India and abroad but chose IIM B because of the location - Bangalore. I had 7 years of experience prior to joining B School, which really helped me to understand what I wanted from the program. I was determined to pursue a career in VC and am grateful to IIM B for providing me the platform. I was an average performer in class and decided to focus on cultivating knowledge to become a VC. IIM B has one the best libraries in India and I read every journal/ book in the library on alternative investments. Because of its location, the campus is always buzzing with VCs, Entrepreneurs, Startups, Professors who specialize in Entrepreneurship etc. I interned with a couple of VCs in the one year (which is unheard of in the 1 yr program), was a coordinator with Harvard Angels and advised a couple of startups. Overall, intellectually, it was a very fulfilling year for me. CE: Tell us more about pi Ventures? Abishek Surendran: pi Ventures is India’s first Applied Artificial Intelligence, Machine Learning & IoT focused early stage venture fund, founded by Manish Singhal (ex Cofounder & CEO, LetsVenture, and prominent angel investor) and Umakant Soni (ExDirector India, Science Inc & Co-founder AI BOT company, 2010). pi Ventures focuses on healthcare, logistics, retail, fin-tech and enterprise sectors. Backed by some of the leading entrepreneurs like Mohandas Pai, Binny Bansal, Deep Kalra, Sanjeev Bikchandani and Bhupen Shah among others, pi Ventures brings hands-on product and entrepreneurial experience to the India venture investing ecosystem. CE: Share the statistics about company's growth, team members, deals done etc. since the company's inception. Abishek Surendran: We are a close-knit team comprising of Founding Partner Manish Singhal & Umakant Soni and myself. We also have Shamik Sharma as a Venture Partner. pi Ventures has invested in four start-ups so far; Sigtuple - a startup revolutionising global healthcare space through data-driven intelligence; NIRAMAI Health Analytix - a startup that is building a revolutionary non-invasive, non-touch, non-radiation approach to detect breast cancer; ten3T – a medical grade wearable device startup and Zenatix - a data-driven intelligent energy efficiency company which uses advanced machine learning based models and delivers up to 30% energy efficiency to large commercial consumers of electricity. CE: What is the strategy to build an effective work culture to achieve great results at pi Ventures? Abishek Surendran: As a VC fund, the work culture is very different from a conventional startup. Most funds are top heavy and the primary goal of the organization is to back world-beating entrepreneurs. VC is a services business and we exist to help entrepreneurs with financial and intellectual capital. Our founder, Manish, is the most entrepreneur-friendly investor I have met and his ethos runs through the organization. As a fund, we encourage decision makers and not paper pushers. We strive to empower every individual in our team to make decisions and be result oriented. You don’t need many people in a VC fund but every person needs to be a leader. We encourage people to think independently, have strong personal views and back it with research and facts. We are not consensual decision drivers but are insights driven. If a team member has a better and deeper insight into a company, we allow him to drive decisions. We are perhaps the only fund in India which is product first in its approach to investing. We want all our team members to appreciate superior products and be inclined towards technology. We are pro geeks who can sell – the alpha geeks. CE: What are the work principles that you follow? Abishek Surendran: Be result oriented and get things done. The most important element of thinking that I have learned from observing successful people is to think backward – assume that you have achieved what you want in the future and then work backward to the present. This thinking has helped me immensely to build clarity, especially in VC investing. Abishek Surendran: I believe that my best years are still ahead of me. A wise man once told me – “Quality is a habit but perfection is a disease”. I strive to complete my activities to the best of my abilities and push towards excellence. Reading extensively has helped me do my job more effectively. I devote 2-3 hrs per day to read up on varied subjects. Reading and reflecting on the key drivers for major events has helped me be more creative. Good and bad times are cyclical in nature. There are times when nothing works for you even if you give 200% of your effort. During these times it is essential to keep going and not take your eye off your goal. Self-belief and hunger for success help you stay motivated. Abishek Surendran: The pleasure is mine and thanks for the opportunity. For all engineers, my only request is to stay focused on building world-class innovative products. It’s a tragedy in India that good engineers are weaned towards management or finance and are taught to focus on sales than on core engineering. The world is changing rapidly and building superior products are the best sales strategy.